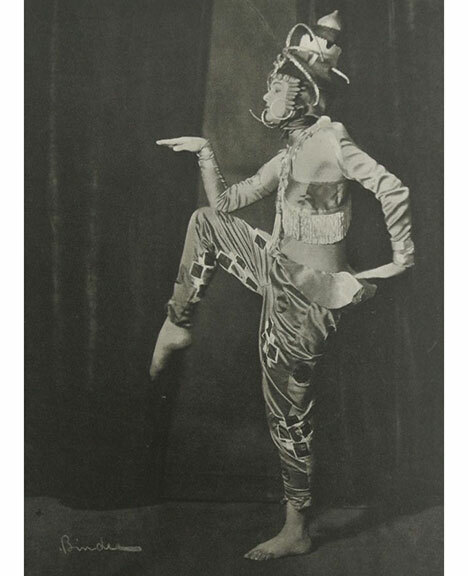 The latest addition to our Stage & Screen exhibition is this striking Korean Dancer, which was modeled by Constantin Holzer-Defanti for Rosenthal in 1918. 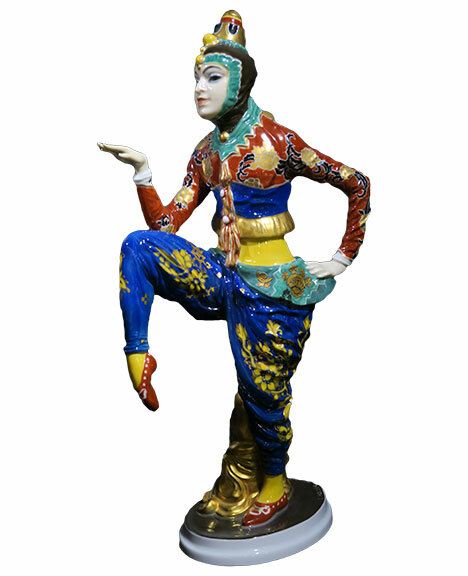 The sculptor was inspired by a postcard of cabaret star Anita Berber, who was famous for her burlesque performances in Weimer Germany. 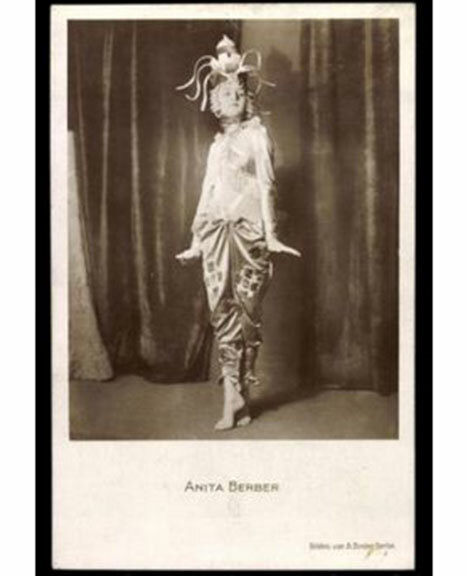 Anita Berber’s career at the Weiss Maus Cabaret came to an end abruptly when she smashed an empty champagne bottle over a patron’s head! 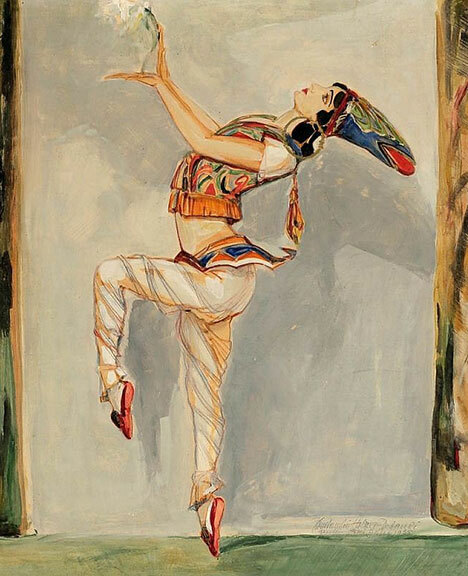 Miss Berber’s glorious costume was designed by Walter Schnackenberg, a talented artist who worked on scenery and costumes for the theater. 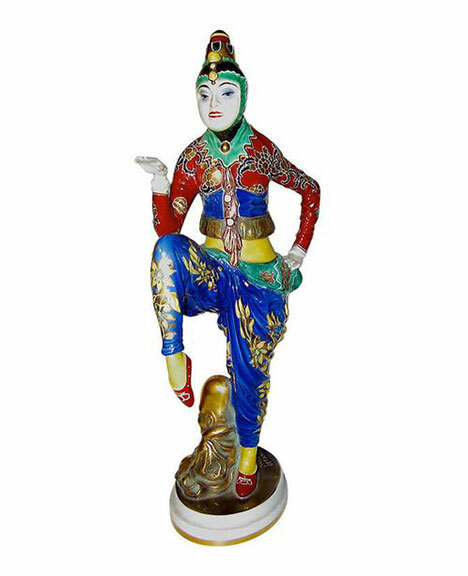 Schnackenberg’s designs inspired several Rosenthal figurines by Holzer-Defanti during the Art Deco era.